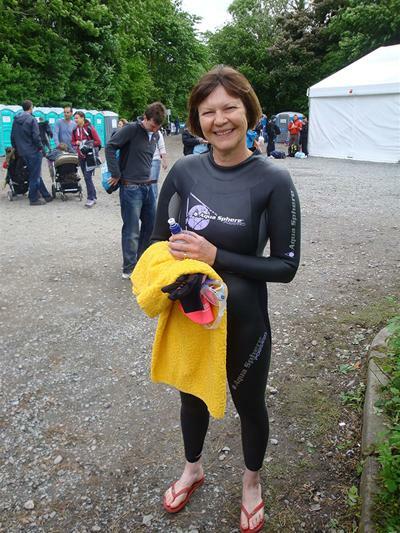 Ten thousand people squeezed themselves into wetsuits to take part in the Great North Swim in beautiful Windermere recently – and I am proud to say that I was one of them. Open water swimming events are becoming increasingly popular and this one is part of a series of five Great Swims held up and down the country from London’s Docklands to Loch Lomond. The participants range from elite open-water swimmers to complete novices (like me), many of whom take on the challenge of swimming a mile to raise money for their favourite charity. When James, my brother-in-law and a seasoned triathlete, asked last Christmas if he could stay with us in the Lake District so he could do the Windermere swim, it got me thinking that I should enter too. 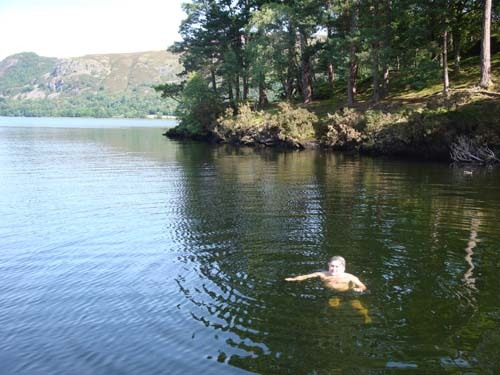 I have always enjoyed swimming, both in the pool and on those rare sunny days in Cumbria from the back of our sailing boat in Derwentwater. And one mile really didn’t sound that far. A couple of sessions a week at the local leisure centre and I was soon able to crack the requisite number of lengths – 64. But swimming any distance in a pool is, of course, very much easier than doing it in open water. 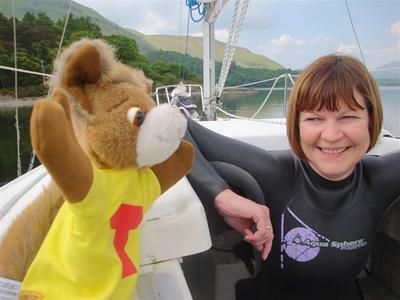 Whilst I was honing my front crawl, RoSPA had just started to carry out sponsored fundraising for the first time and so I was persuaded to become a guinea pig fundraiser. As a mum, I have been shocked to learn that accidental death and injury is the biggest threat to children – far more than disease – and yet just about everybody is unaware of this. Simple programmes can really help to educate parents on how to keep their kids safe and RoSPA does this, campaigning on a wide range of issues to change people’s perceptions. Most people are happy to give to a charity which supports some quite obscure or rare disease but perhaps don’t know much about this more urgent way to use their donation. So I was keen to do my bit to help get RoSPA noticed. As sponsor money began to roll in from generous friends, family and supporters, the arrival of a slinky new wetsuit just a couple of weeks before the swim added another dimension to my training. 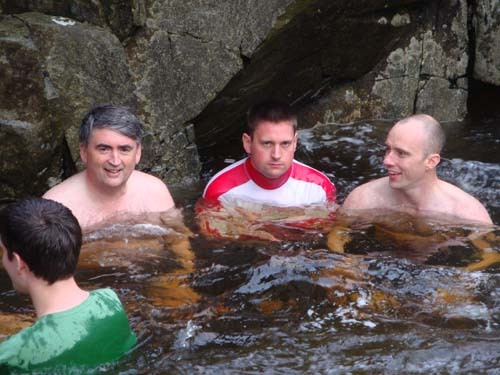 I tried it out in chilly Derwentwater and, although it kept me warmish, it felt tight and restrictive and made me so overly buoyant that I had to completely adjust my technique. A mile was beginning to seem like a long way. The day of the swim was cool and breezy and, arriving at the lakeshore already a bundle of nerves, I was terrified to see how grey and choppy Windermere looked. I’d fretted about water temperature, uncomfortable wetsuits, leaky goggles, getting kicked in the face by another swimmer (I could go on) but never even considered the possibility that the water might be rough. Neoprene-clad swimmers of all ages and shapes were limbering up or, if they had already completed the swim, posing for photos with their medals – and everyone was talking about how choppy the water was. But if they could do it, I could too – besides I couldn’t let down all those people who were so generously supporting me and RoSPA. Great North Swim participants are divided into ‘waves’ which start at half-hourly intervals over the weekend and each involve up to 300 people in colour-coded swimming hats. James and I were sporting natty pink caps and, after taking part in the mass warm-up session, it was time for our wave to take to the water. The start was a melee of thrashing legs and arms, but heeding James’ advice and staying near the back of the pack I managed to avoid being kicked or swum over by the keen guys. If the water was cold, I really didn’t notice it – choppiness was the major problem. It was impossible to get into a rhythm because every breath involved an unwelcome gulp of lake-water. I soon abandoned my hard-practiced front crawl for a more defensive breaststroke/doggy paddle. Progress was very slow. But after 57 exhausting minutes, I had done a final flourish of crawl past the finish and was back on dry land – wobbly-legged but elated. No matter that the fastest (elite) lady took just 19 minutes! It was a great challenge, wonderful to have been able to raise over £1,000 for RoSPA and, what’s more, I am already training for next year.